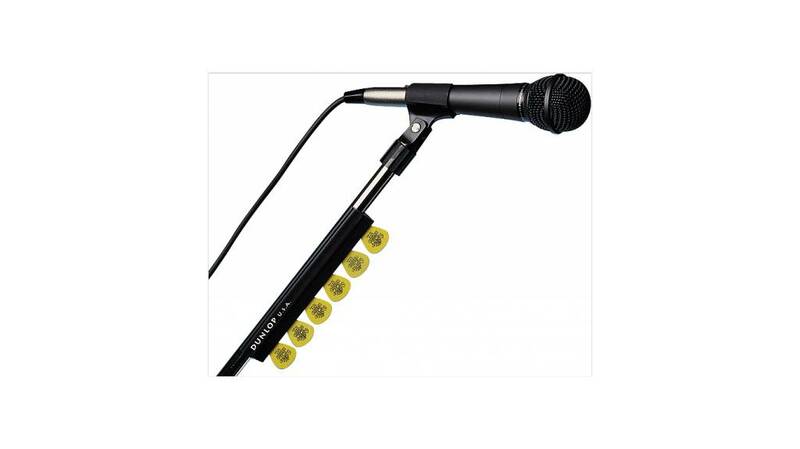 The 7" long Dunlop Microphone Stand Pick Holder is made of high-quality rubber to ensure a firm hold. Fastens to any standard mic stand or boom. The Dunlop pick holder keeps your picks within easy reach at any gig or practice session.